Making their brief seasonal appearance as we speak, the impossibly orange tangelo is ready to fill your kitchen with citrusy overtones and your empty jars with delicious jam. I’m sure it is no coincidence that citrus fruit peaks in mid-winter, its colour pop and tang bolsters us through the insipid range of coolstore/gas ripened produce alternatives. 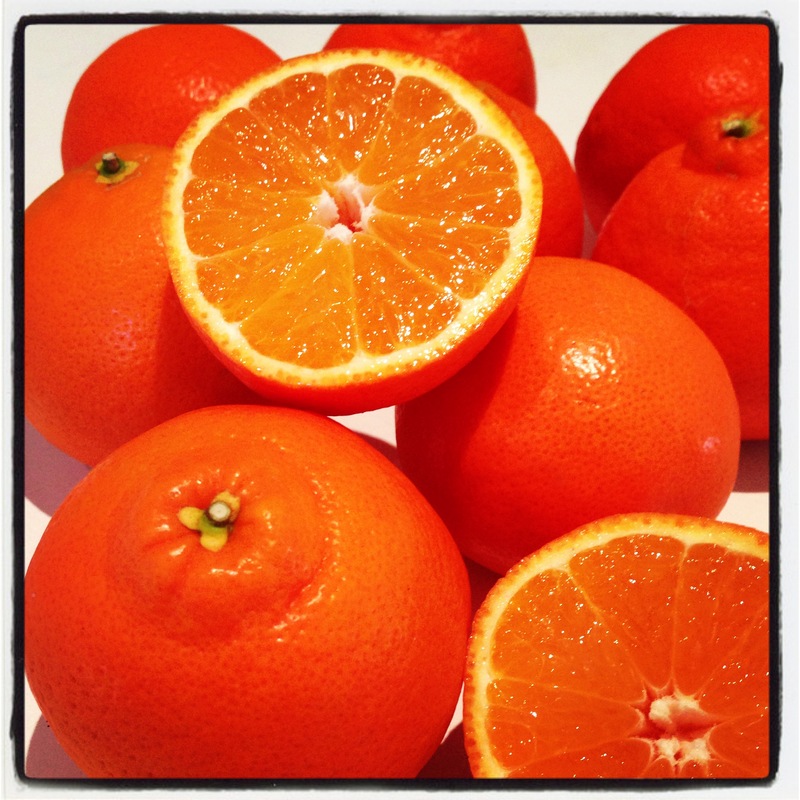 Tangelos make a huge effort – juice laden and vibrant, a bowlful in the kitchen veritably radiates goodwill. My pantry shelves did not require further stocking, but with such enticing colour and shape, I could not resist purchasing a couple of kilos of these lads. With an interstate road trip imminent and a number of pressing household issues to deal with, they really had to jam themselves. Fortunately they cooperated, so the holiday hosts, the neighbourhood and the pantry shelves all have jars of sunshine to see them through winter. Tangelos are still catching my eye at the local fruiterer, so it’s not too late to wash out those stored jars and boil up a pot for yourself. 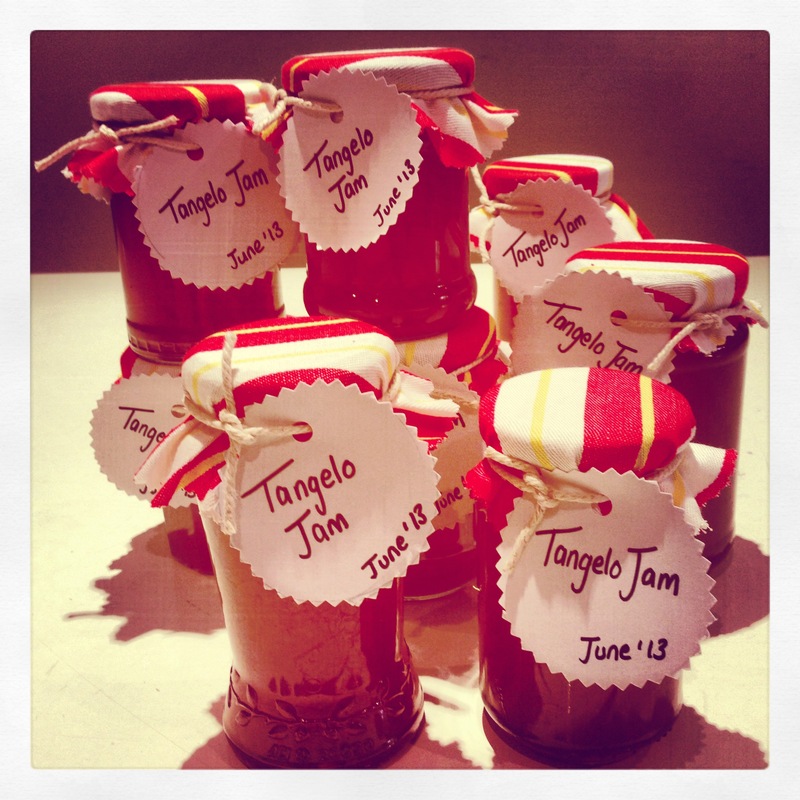 Not as bitter as marmalade, but far from the syrupy sweet berry preserves, tangelo jam sits brightly in between. 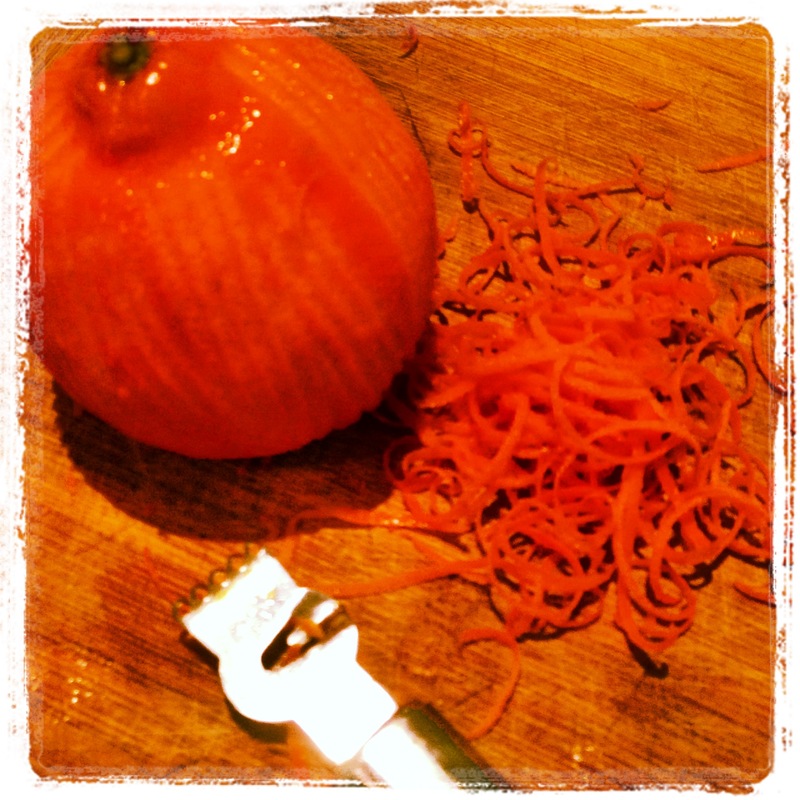 Remove the zest (picture below) from the tangelos using a zester, and wrap in muslin cloth or a clean chux cloth. Cut the tangelos into quarters and process in a food processor until finely chopped – a little roughly if you like chunky jam. Place tangelo mixture into a saucepan, with the wrapped zest, water, cream of tartar and lemons. Cook for 30 minutes or until zest is soft. Remove zest from bag and set aside. Continue to cook the mixture for a further 1 1/2 hours. Strain mixture and reserve liquid. Return liquid to the heat and add the zest and sugar. Cook the jam for 40 – 50 minutes. Test for setting by spooning a little on a chilled saucer – it should wrinkle if set. Pour into sterilized jars and seal.